Maya Bingaman is a student at the University of Pittsburgh – Bradford. She is an ISA Featured Photo Blogger and is currently studying abroad with ISA in Cusco, Peru. Breathtaking vistas, once in a lifetime photographs, and a sense of supreme accomplishment are just a few reasons to consider hiking in Peru. Here is a list of the treks I got to experience so far during my ISA Cusco program. 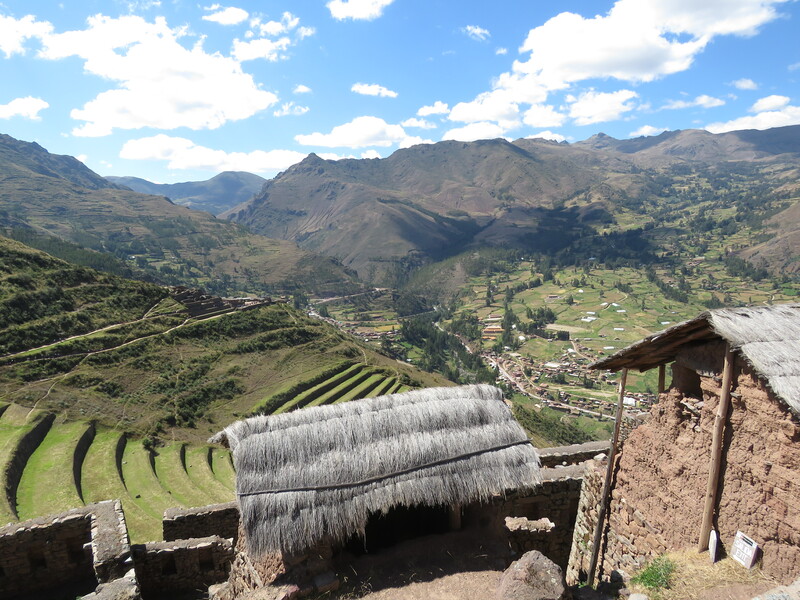 The Incan Ruins of Pisac are definitely worth taking a trip to. The way the Incas developed terraces is truly astounding. 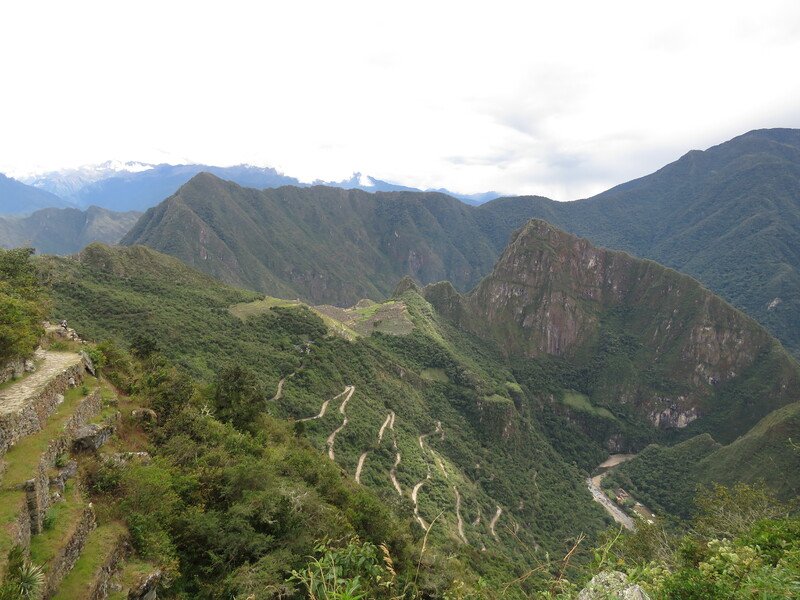 For a spectacular view of the Sacred Valley be sure to hike all the way to the top of the hill. Even in the winter months, it was sunny and hot enough to break a sweat, so be sure to pack that sunscreen! If you’re down for a good quad workout make your way to the town of Ollantaytambo. I definitely was afraid of falling off of the countless steps that comprise the ruins, but once you’re at the top you can see the ancient town and appreciate all the work the Incas put into creating such an impressive structure. 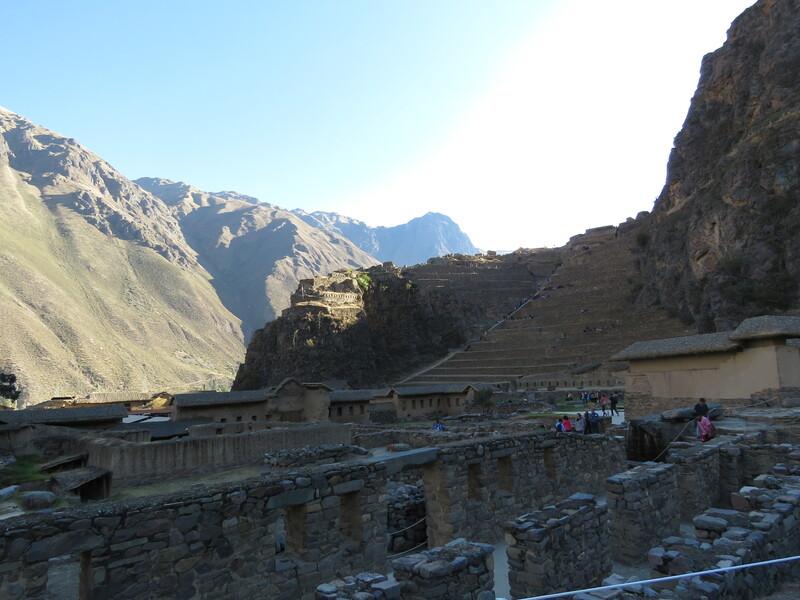 A view from the bottom of the Ollantaytambo ruins, yes I climbed all of those stairs! This trek was by far the most difficult I have ever experienced due to a few factors. First, the elevation on Isla Amantani is even higher than in Cusco, so when I say the hike was ‘breathtaking’ I mean it literally. Second, it was extremely steep most of the way up. 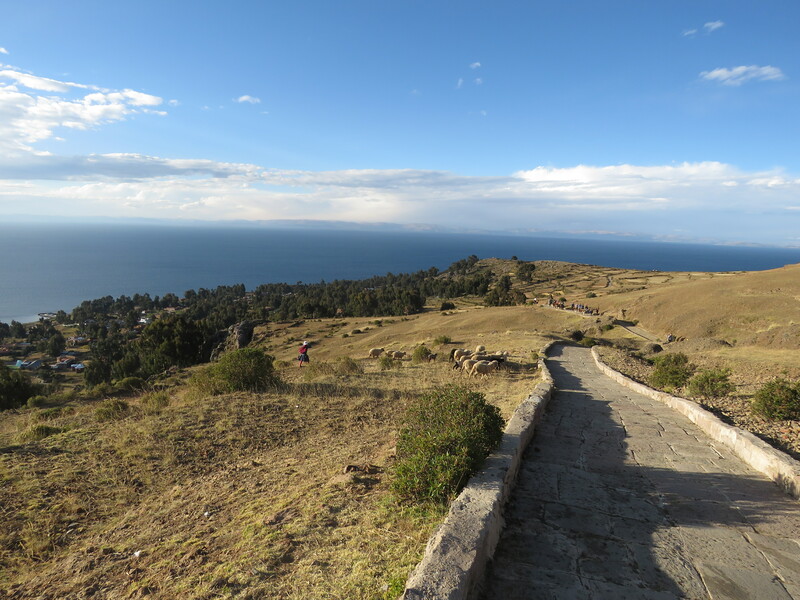 However, I can assure you that once you make it to the very top the vista of Lake Titicaca is astounding and it will make the entire ordeal worth it. 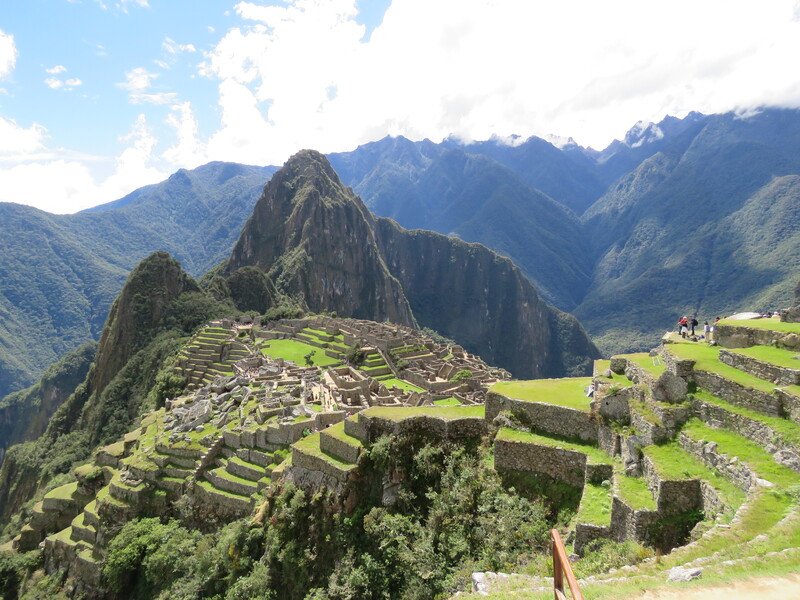 The hallmark of Peru and a must see for anyone spending time in Peru, Machu Picchu definitely lives up to the hype. Thankfully, you can be bussed to the entrance of the ruins but after that it’s up to you to navigate the ruins. I highly recommend a tour guide because they are so knowledgeable about the ruins and can point put little things a typical visitor would overlook. Once again I warn you to pack for all weather conditions. It drizzled multiple times I was there and temperature fluctuate from comfortable, to cool, to hot while you’re walking. Yes, part two! If you feel like challenging yourself you can go the extra distance and hike to the Sun Gate (Inti Punku). It took my group about 1 hour to hike up and we even took breaks, and about half an hour to come down even on slippery rocks due to the rain. I recommend going to the Sun Gate because it’s a view not every visitor takes advantage of and Machu Picchu is also a location lower in elevation than Cusco so it’s pretty easy to breathe there. Pro tip: Don’t do this without proper hiking shoes. The day after visiting Machu Picchu our group took an excursion to the Mador Waterfalls. It’s about an hour from the town of Machu Picchu. You walk out of town and eventually end up walking nestled between large mountains and alongside a railroad track (you might also end up with a hitch hiking dog as a travel partner). 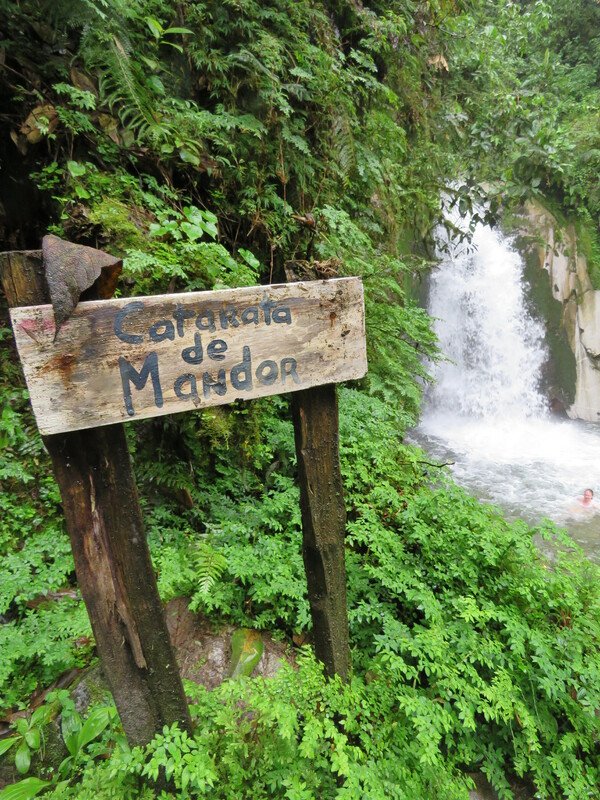 Eventually you will reach a hotel in the woods and pay 10 soles for entrance to the waterfalls. The hiking isn’t over yet, before you get to dip in the water you get to take about a 20 minute venture through a beautiful botanical garden. Once you arrive at the waterfall it may be cold, but nonetheless it’s quite surreal to be in the middle of the Peruvian jungle with a rushing waterfall right in front of you. However, let me tell you, your feet will need a massage afterwards. The rocks next to the railroad are not forgiving on your feet! Mandor Waterfall. Really neat to climb down to, but the water might be too cold to take a dip. Wow, and I thought Mt. Patchamama was difficult! Rainbow Mountain is a fairly recent discovery, only sensationalized around 2013. 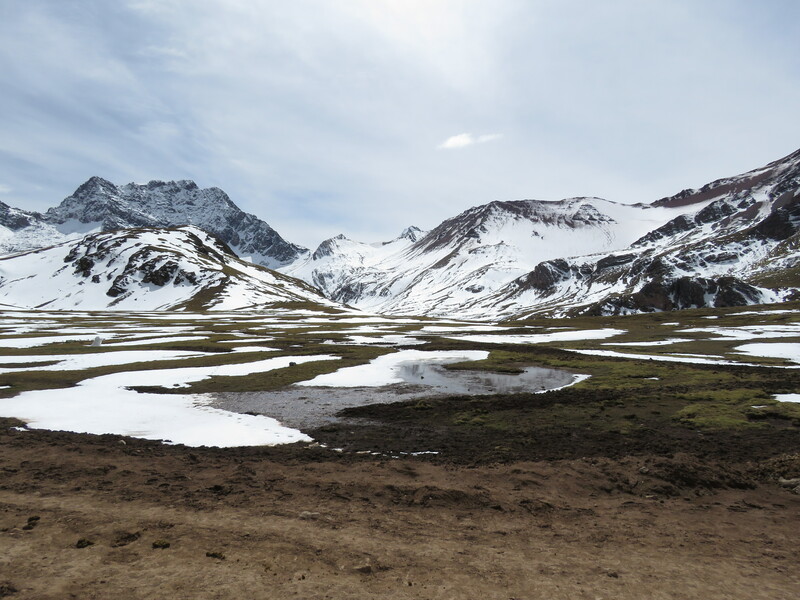 The mineral deposits were revealed after the snow and ice began to melt in the area (a blessing and curse of global warming). I don’t think the colors of the mountain are worth all the hype, but the view to get there is! To hike rainbow Mountain I highly suggest being acclimated to Peruvian elivation. Only 30 minutes into the steep hike many people were stopping every few feet to catch their breath. To be honest I did rent a horse to go part of the way up the mountain (The horses and guides are outstanding because they speed walk up the freezing mountain in about 40 minutes) but I hiked the entire way back. Overall, the day trip (4am-7pm) was only 90 Soles and that included two meals and my entrance fee.